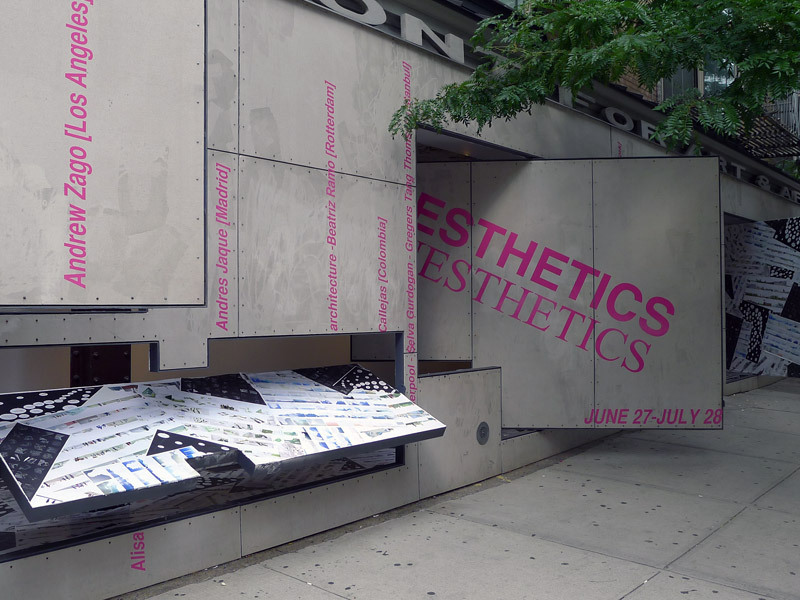 VisionArc was recently featured in a group exhibition entitled Aesthetics / Anesthetics at Storefront for Art and Architecture in New York City. The exhibition included a diverse group of other designers and practitioners in the field(s), all departing from the question below with a nod to a vital institution to contemporary design discourse. 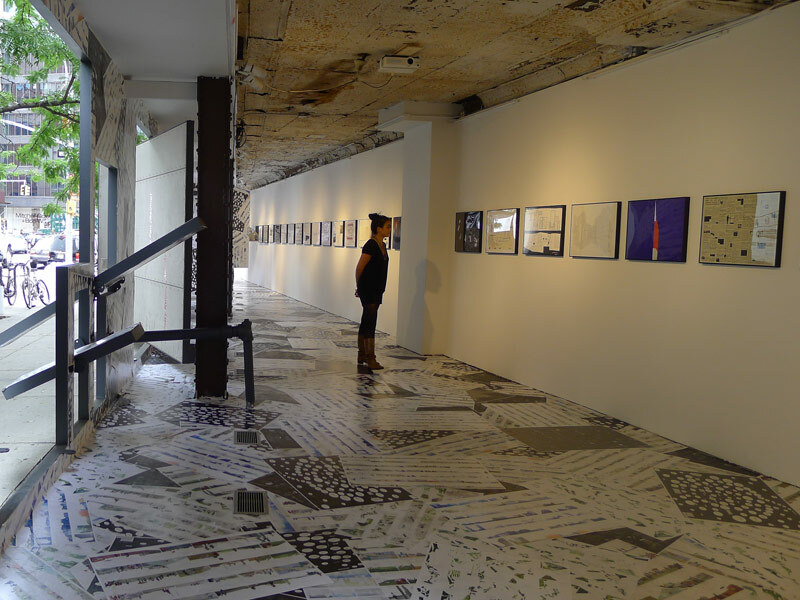 Storefront for Art and Architecture is first and foremost a center for the exchange of ideas, agendas, challenges, confrontations; it is a part of a larger infrastructure for dialogue about the role of art and design in the city and beyond. At the same time, one might argue that all storefront’s in the city possess that kind of cultural, economic and political power. They are often the nodes that localize the exchanges and interactions between individuals and communities, expose and facilitate patterns of behavior, commerce, and many of the frictions (and fictions?) of our day-to-day lives in the city. A storefront might be a place to practice religion or slaughter a chicken; a conduit for illicit trade or creative destruction. 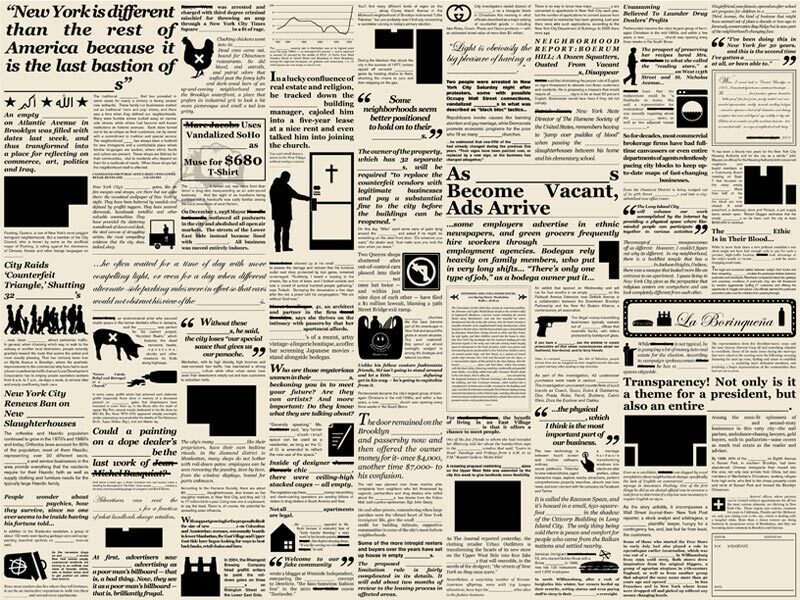 Storefronts are both wallpaper and newspaper. VisionArc’s contribution to the Storefront exhibition sought to communicate this complexity and this vibrancy by subsuming the presence of the gallery proper (and it’s always recognizable movable facade panels) into the larger matrix of associations, events, spectacles, and mysteries emanating from this 1-story landscape. 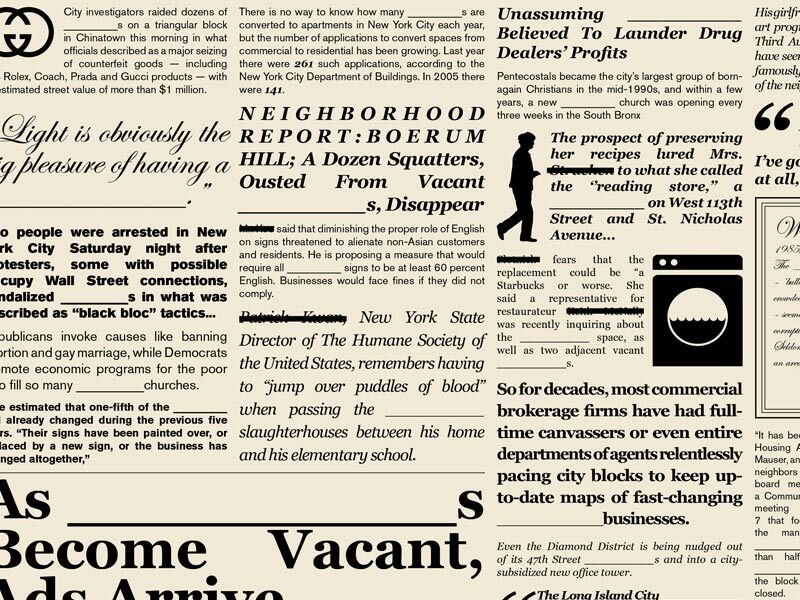 The news clippings, headlines, and stories are all culled from New York City’s circulars and tabloids and are each presented as snapshots of a moment where a storefront became a stage. In so doing we are giving a nod to the contribution of Storefront makes to the critical and creative landscape of New York City while paying equal tribute to the (sometimes unexpected) role that our less rarefied storefronts play in the ever evolving shape of the curious life of our city.